The latest "Solo: A Star Wars Story" trailer and the impending "Lost in Space" reboot offer new looks at sci-fi pioneers. Amid all the Millennium Falcon action pulsing through the latest "Solo: A Star Wars Story" trailer, the title character utters a line designed to both soar and give pause. "I waited a long time for a shot like this," the young Han Solo declares. He's speaking with the impatience of a young man everybody knows is destined to become an impatient old man. Perhaps more significantly, he's speaking for fans who have been waiting decades for their first cinematic peek into the origin story of the key "Star Wars" figure. The back-to-the-future glimpse at Han, Chewie (a mere child at 190 years old) and Lando stokes excitement for the latest "Star Wars" off-shoot, set to arrive May 25. It also couldn't hurt the cause for the far-less-heralded return of another sci-fi pioneer: "Lost in Space." The Netflix reboot of the 1960s space show debuts Friday, as "Solo" anticipation grows and in the afterglow of golden anniversary commemorations of "2001: A Space Odyssey." "Lost in Space" might be light years away from the allure of those landmarks franchises. 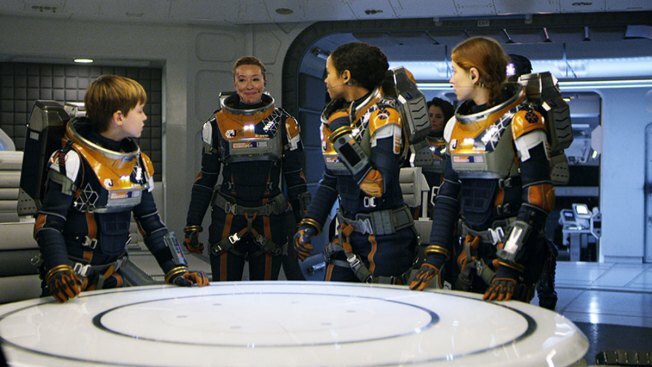 But give the show its due: “Lost in Space” won the pop-culture space race with its early take on life beyond Earth. The intergalactic "Swiss Family Robinson" tale debuted in 1965, beating "Star Trek" by a year. The show's unnamed robot became TV's first significant AI character, three years before HAL of the prescient "2001" chilled theatergoers. "Lost in Space" proved far campier than blatantly frightening, with conniving Dr. Smith spinning mischief and the worrywart robot whirling in a tizzy, crying, "Danger, Will Robinson, danger!" Young Will (the cute-and-creepy child actor Bill Mumy) gave an impish soul to a Barbie-and-Ken-like family trying to make a new life, via the Jupiter 2, in the far off year of 1997. Dr. Smith and the robot provided plenty of comic relief that played well in syndication, for years after the show’s three-season run. The program, for all its humor, tapped imaginations and fears of viewers amid a real-life Space Race and the Cold War. "Lost and Space” also plowed some modest ground for George Lucas (if nothing else, “Lost in Space” featured some early soundtrack work from “Star Wars” composer John Williams). The new version appears to offer a more serious (and technically polished) take on space colonization, with the Robinsons among many families fleeing Earth in the perhaps not-so-far-off year of 2046. Indie movie quirk queen Parker Posey steps in Jonathan Harris’ gravity boots as the troublemaking Smith. Alden Ehrenreich, of course, has a far tougher job plying Harrison Ford’s leather boots as Solo. The character, for all his bravado, seems far from hardened as he spouts in the trailer, “I’ve got a really good feeling about this” – a naive version of what would morph into a pessimistic catchphrase. But it’s not too much to harbor good feelings about the possibilities of two very different, but related innovative franchises, soon set to take off into new unknowns.